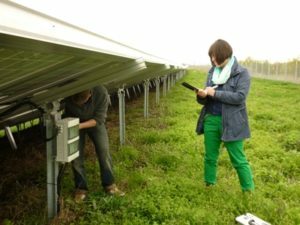 PV-Yield reports for Planned Investments: Inclusion of Planned Plant / Area, Climate Data Prediction, Loss Estimation, Mitigation Factors, Feasibility Studies, Cost Estimate. Plant inspections according to RAL GZ 966: Inspection and installation by independent third parties, checking design, installation, possible shading, wiring, inverter configuration, lightning protection, optional thermal imaging, characteristic curve, verification of characteristic values, verification of marking and documentation, determination of defects and logging. EE-conzepts for communities: Inventory of energy supply and energy consumption, determination of regional energy potentials, description of development scenarios in communes, development of energy and climate policy models. Consulting: Evaluation of your offers regarding quality, layout of the facility (recalculation), review of the yield forecast, verification of prices. If you are interested in this offer, you are welcome to inform yourself on the following pages or contact us.